These are just a few of the many OLLI course offerings for Spring 2017. With 10,000 baby boomers turning 65 every day, the need for intellectually challenging learning experiences will continue to increase. Bernard and Barbro Osher saw a need in the field of education to help this generation live a healthy and stimulating life style. Retirees with vast experiences need a way to stay engaged, share their backgrounds, help in the community and broaden their own education. Beginning with an initial grant to the Fromm Institute, an educational and charitable foundation, the Oshers spent years researching possible ways to offer lifelong learning programs to seasoned adults. They wanted to offer opportunities for volunteer leadership, engage emeritus university faculty and offer exciting courses (without exams) in a college setting. Today the OLLI program is offered in all 50 states and the District of Columbia on 120 university campuses. She describes retirement as the “3rd age or midcourse” for adults 65+ years old. They are ready for a second or third career. This age group wants to be productively engaged and establish new patterns and a new network of friends as they step into retirement. Learning experiences and social facilitation are what make OLLI such and important resource for many in our community. 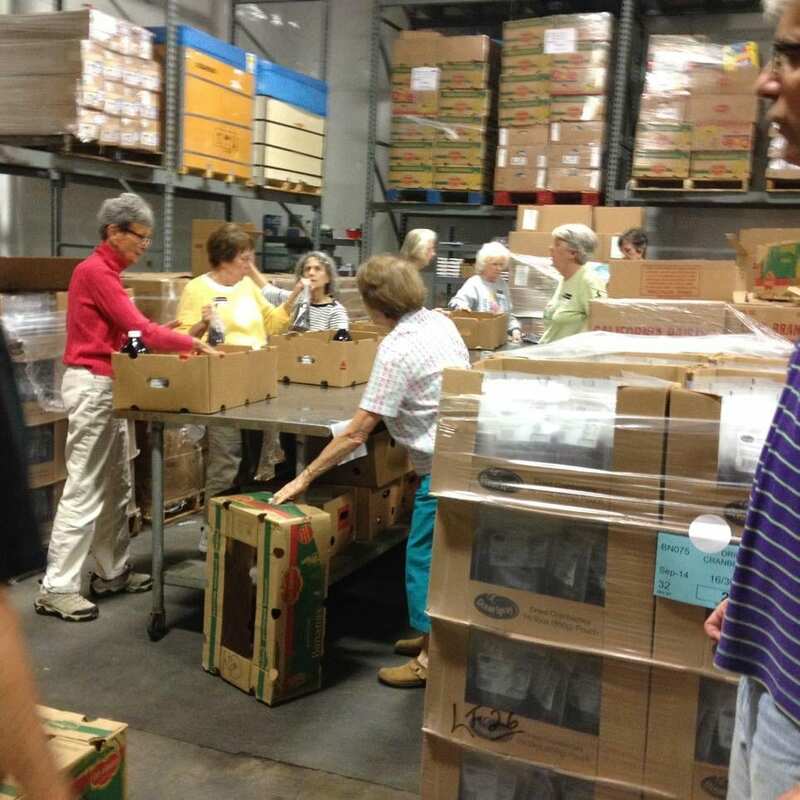 Not only do members take courses but they also volunteer in Wake County, teach classes, recruit new members and assist with administrative duties within the program. You will find NC State OLLI members at The Food Bank of Raleigh, Stop Hunger Now, A Note in the Pocket and other non-profit organizations throughout the city. Linda Denison, an active Springmoor participant, helps write the newsletter and volunteer her time at the Food Bank. 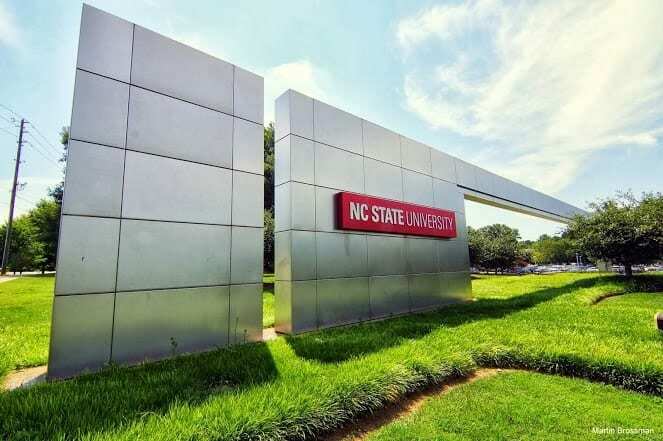 With only a $50 yearly membership fee, participants also have access to many of the NC State facilities and activities on campus. Jan Christensen, another active OLLI participant, enjoys the extra Wolfpack activities of campus theatre and sporting events. One OLLI member was quoted as saying that taking classes at The McKimmon Center proves to be quite an inspiring walk as he crosses the campus. Mixing with a college-aged crowd keeps him healthy, engaged, informed and optimistic. Privileges to the library system, discounts and the Corner Café and the Campus Cinema are available. Cultural events and the Stewart Theatre and the Thompson Theatre are also easily accessible to members. Free admission to non-revenue Wolfpack sporting events is also a wonderful perk. Jan says that many of the courses fill-up even before the ink is dry on the semester brochures. She and fellow Springmoor neighbor, Dottie Davis, use their online registration each semester. The instructors, mostly Professors Emeritus from Meredith College, William-Peace University and NC State can be found leading the classes. Area authors, Lee Smith and Jim Clark can fill up a 150-seat classroom quickly. Field trips accompany many of the offerings. Jim Clark’s latest class is scheduled for a four-night trip to Asheville to finish his Mountain Women by Mountain Men. Jan is taking a class now on Brazil. She has toured the country before and found this a great way to “see” it again! Springmoor provides transportation to a series of classes each semester. Our residents often carpool to one time lectures or to other classes that are on the schedule. OLLI provides not only a great education to the 3rd age but a great way to get involved in the community and meet friends with similar interests. Field trips to Chicago, Canada and Colorado along with a NC State Women’s Basketball game are all part of the experience. Join us for a great adventure as we discover new insights and thinking at OLLI.